Today, from 6pm, until this Friday (13th!!) 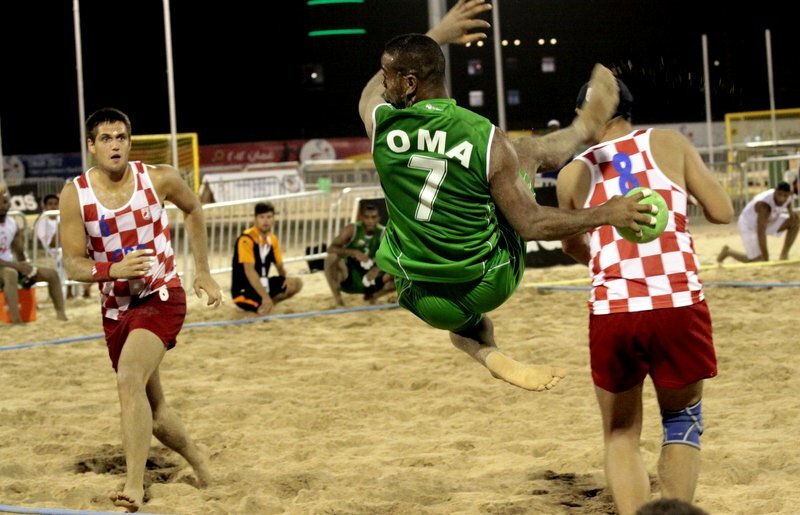 up at the Millennium Resort in Mussanah, the Men's and Women's beach handball championships are taking place. Oman has a mens team playing, but no women's team this year, their first game is tonight at 18:50 against the mighty Brazilians. There are 20 countries taking part in this event in total, with two groups of 6 in both the Men's and Women's championships. Might be a nice activity for the weekend coming up, or any evening this week. Entry is free and there is a pretty good website about the event here. Musannah resort is a great place but do they really expect people to go up there of an evening to watch this? Is this what those few flags on SQH are advertising? As I drove past they were fluttering too much and the writing was too small to make out without causing a car crash!